How to design custom border style (thickness/width/diagonal) in Excel? Normally we can easily add all/top/bottom/left/right borders for selected cells in Excel. However, if we want to custom the border thickness, width, color, or add diagonals, it seems a little complex. 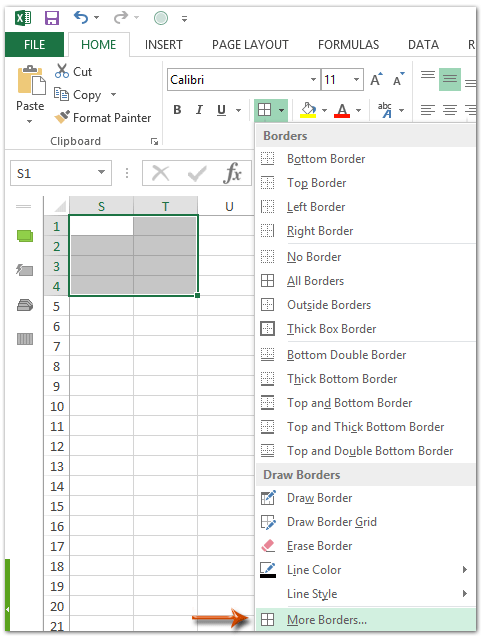 Here I will show you how to design custom border style with customizing thickness, width, color, or diagonal in Excel, and save custom border style in Excel as well. Full Feature Free Trial 60-day! This section is talking about how to add custom border for selected cells with special border thickness, width, color, or even add diagonal in Excel easily. 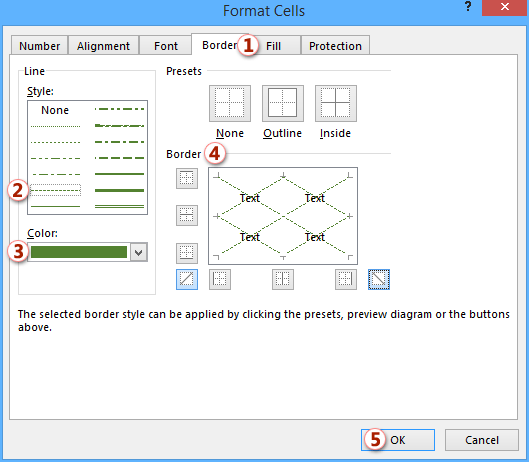 Step 1: Select the cells you want to add custom borders. Step 2: Click the arrow besides Border button > More Borders on the Home tab. Step 3: In the opening Format Cells dialog box, please do as follows. (4) In the Border section, select borders you will add. In our example, we will add Diagonal down border and Diagonal up border, so we click to highlight both buttons as above screen shot shown. 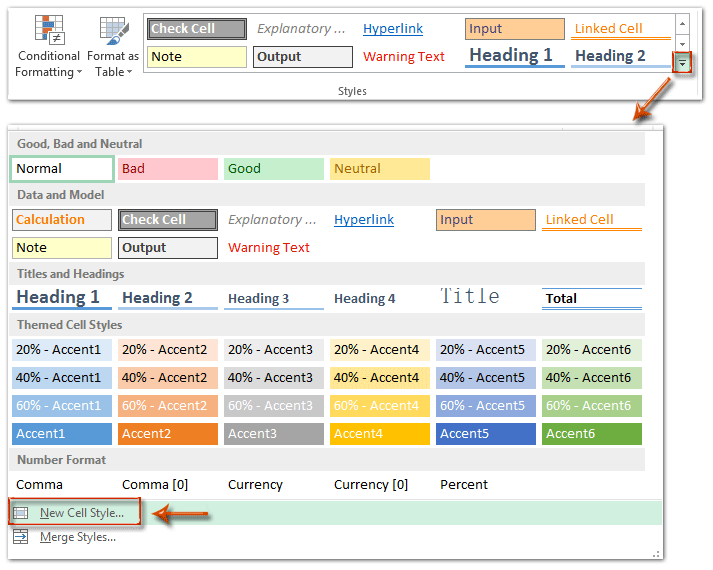 Step 2: In the opening Style dialog box, type a name for this custom cell style in the Style name box, and uncheck all options except the Border option in the Style Includes (By Example) section. 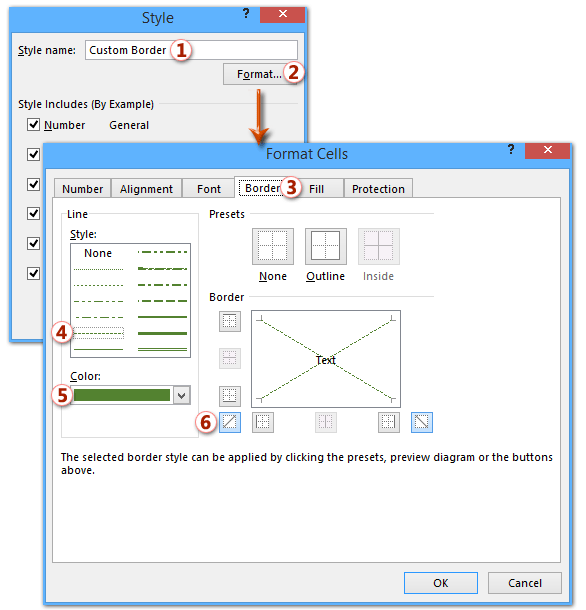 The custom cell style is saved in the Styles group under Home tab in Excel. It may be tedious to combine dozens of sheets from different workbooks into one sheet. But with Kutools for Excel’s Combine (worksheets and workbooks) utility, you can get it done with just several clicks! Full Feature Free Trial 60-day! I thought from the title of this article that I would be able to define a custom line thickness/weight. This just shows how to combine options from the existing presets. Is there a way to specify a custom line thickness for borders? Same here... The thickest bline available is still very thin... I'd like something way thicker... That really attracts attention on the cell. 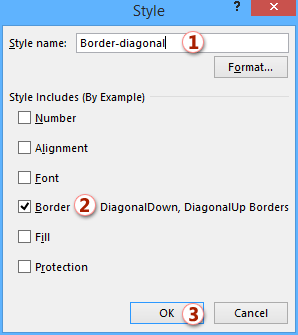 There is in Office 2010 - if you click on 'Borders --> Draw Borders --> Line Style', you can click on the Line Style you want, which turns your mouse pointer into a Pen, and you can then click/drag the cells where you want the specialized line applied.